Boneless, skinless chicken breasts get a bad rep — but they can actually be delicious! Stick to these tips and they'll turn out perfect every time. Boneless, skinless chicken breasts are one of the most versatile ingredients. They're quick to cook, relatively cheap, and the ultimate go-to protein for busy nights — but they also get a pretty bad rep for being dry and flavorless. So we rounded up 12 tips for cooking chicken breasts to make sure they come out juicy and full of flavor every time. 1. First things first, make sure you know what to look for when purchasing chicken breasts. Fresh chicken breasts should be pink with white fat. Avoid chicken that looks grey or has fat that looks a bit yellow. The flesh should be firm and spring back when you press on it, and the chicken breasts shouldn't be sitting in a ton of excess liquid. When all else fails, just make sure to check the sell-by date and grab the freshest pack. Learn more: Read more about what to look for when buying chicken. A brine is just a fancy word for a salt water solution that helps proteins retain moisture. It's one of those chef secrets that makes restaurant chicken taste so much better (and juicier!). As little as 15 minutes in a wet brine can help chicken retain a ton of moisture. The most basic of brines only require salt and water, while others add aromatics such as garlic and spices. Learn more: Get a recipe for baked chicken breasts that soaks them in a wet brine. 3. Or go with a dry brine to make life easier. While wet brines are a great go-to option for brining chicken breasts, another option is dry brining. This is done by generously seasoning your chicken breasts with salt and allowing them to sit in the fridge (typically overnight). This technique is similar to wet brining as it helps chicken retain moisture, but it doesn't require any liquid, making it a bit less work. It's also a great option for skin-on breasts, as the salt helps crisp up the skin. Learn more: Read more about the benefits of dry brining chicken. 4. Invest in a digital thermometer to make sure you never under- or overcook your chicken breasts again. When chicken is dry, it's most likely because it was overcooked. Although there are a few ways to check if chicken is cooked (such as by touching it or looking at the color of the juices), the only surefire method is using a thermometer. You want your chicken to register an internal temperature of 165° F in the thickest part of the breast. If you don't have a thermometer and cook chicken often, do yourself a favor and buy one. Get an instant read thermometer on Amazon for $10.99. 5. Dry your chicken breasts with a paper towel before cooking them. For any protein, drying it before you cook it is important. This is the only way you will develop any color on the outside of your chicken breast. If you leave the sticky, wet residue on it, the excess moisture will steam the outside of the chicken rather than brown it — and we all know that colorless chicken is usually not that flavorful. Before you cook it, just pat it dry with a few paper towels and you'll be ready to go. This is especially important for frying and searing. Marinating your chicken for too long can result in a mushy, somewhat stringy texture. The idea that a longer marinating time means more flavor is simply not true. After a certain amount of time the acids in the marinade can break down the chicken, so stick to a quick 30 minutes to 2 hours and your chicken will be ready to go. Learn more: Read more about marinating chicken. 7. And try swapping your typical oil and vinegar marinade for a yogurt-based one. 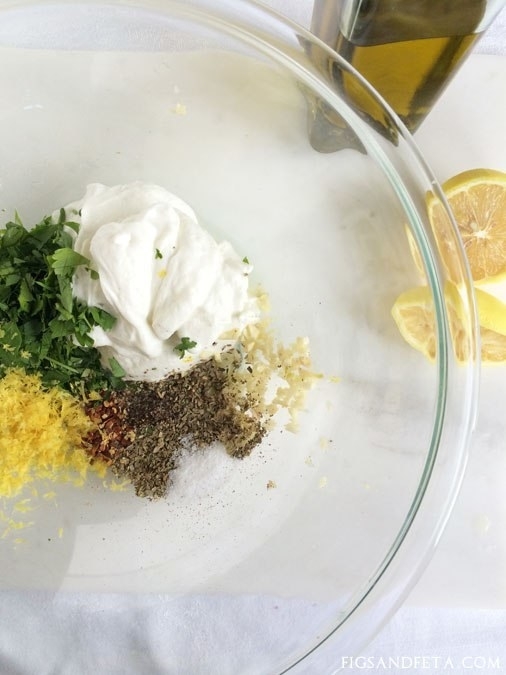 The lactic acid found in yogurt is just the thing to gently break down proteins and make them tender, and you can jazz it up by adding spices, herbs, or sweeteners suited to your taste. It's pretty much an instant marinade starter, so don't overlook it. 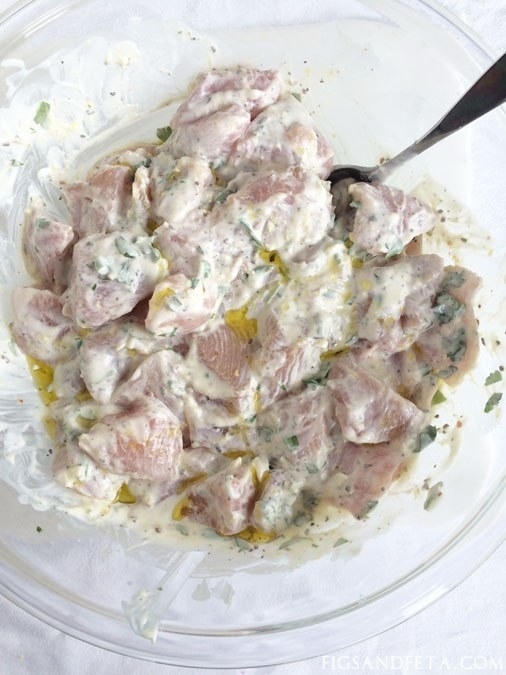 Get a recipe for yogurt marinated chicken souvlaki. 8. When roasting chicken breasts in the oven, place a piece of parchment paper over them to keep them moist. 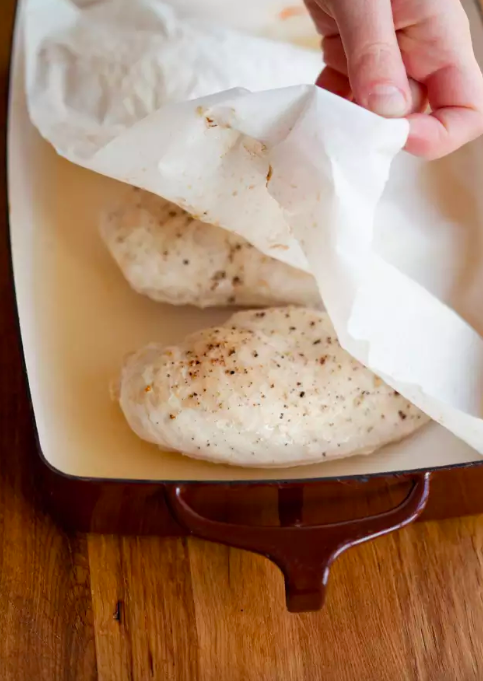 The parchment paper traps moisture and gently steams the chicken, preventing it from drying out. The parchment paper protects the breasts and acts as a self baster, constantly moistening the breasts as they cook. If you're looking for a bit of color on your breasts, you can always remove the parchment paper during the last 10 minutes of baking. Learn more: Get step-by-step instructions for baking moist and tender chicken breasts at home. 9. If you're going to baste your chicken breasts in a sweet sauce (such as barbecue or teriyaki), make sure to brush it on during the last 10 minutes of cooking to prevent it from burning. Sweet sauces make great glazes for chicken breasts. The sugars caramelize and char adding a smoky flavor and beautiful, glossy coating — but you need to be careful that you don't brush them on too early. Sauces that are high in sugar tend to burn rather quickly, so it's best to brush the breasts during the last five minutes of cooking. This applies to chicken you're grilling, searing, or broiling. 10. If you're in a rush, try butterflying and pounding your chicken breasts to make them cook quicker and more evenly. The problem with chicken breasts is that they are thin on the edges and quite thick in the center, taking a long time to cook through and usually overcooking on the edges. One way around this is butterflying your breasts with a knife (cut them horizontally about 3/4 of the way through) and pounding them into thin cutlets. These cutlets cook up much quicker and evenly, making them the perfect thing to whip up on a busy weeknight. Learn more: See how to butterfly and pound a chicken breast. 11. Just like steak, give your chicken breasts about 10 minutes to rest before slicing them. As with any protein, chicken breasts should be given time to rest before slicing into them. 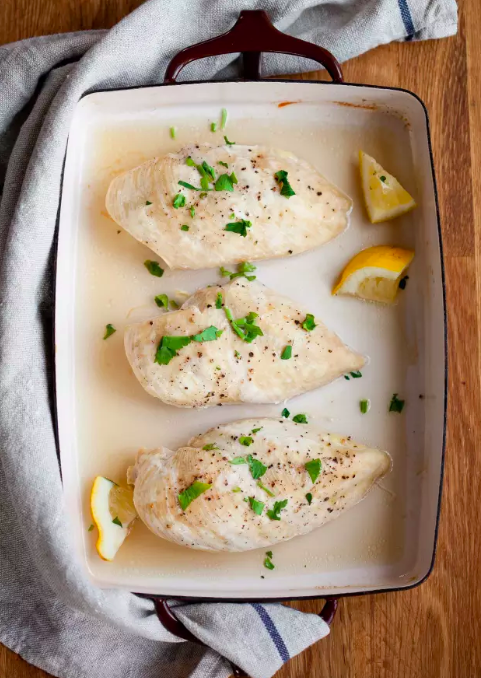 If you were to slice into a freshly cooked chicken breast that's still hot, the juices would run onto the cutting board instead of remaining in the breast. A good rule of thumb is to give them 10 minutes to rest before slicing into them. Learn more: Read more about why you should be letting your meats rest before cutting into them. 12. Use a hand mixer to shred cooked chicken breasts in a flash. Need shredded chicken for a recipe? Just place your (still hot) chicken breasts in a large bowl and use a hand mixer to shred them in no time.